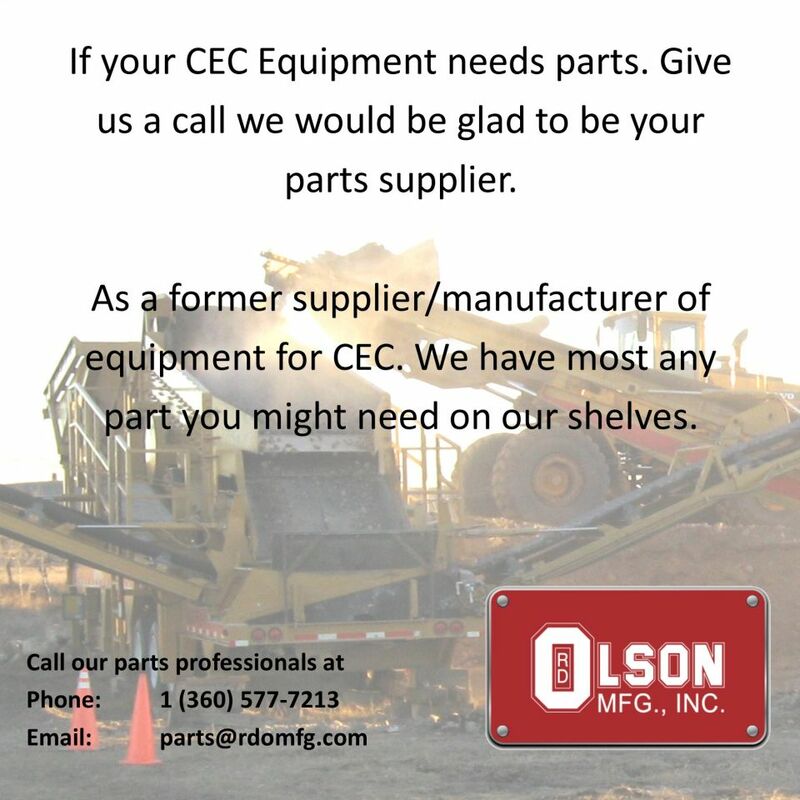 If your CEC Equipment needs parts. Give us a call we would be glad to be your parts supplier. As a former supplier/manufacturer of equipment for CEC. We have most any part you might need on our shelves. Founded in 1980 by Roger Olson, Rd Olson Manufacturing is headquarted in Kelso Washington. Manufacturing was started on their current site in 1982, relying on Roger's expertise in heavy steel fabrication, road construction, crusher and rock quarry operation. Currently we have 102,00 square feet of manufacturing facilities located in 8 separate buildings, and each building is dedicated to a specific manufacturing function. We are spread out and located on a little over 12 acres. RD Olson offers the cutting-edge and state of the art heavy-duty fabrication for the rock crushing, screening and recycling industries.